Saturn is a brand you trust, and a trusted vehicle needs service from trusted mechanics. Like you, Desi Auto Care understands that a dependable car requires high-quality service to keep it in optimum condition. Whether your Saturn is a sedan, crossover, hatchback, minivan, coupe, roadster, or even an electric model, Desi Auto Care offers the highest-quality service for all of your Saturn’s needs in Stratford, NJ. From routine maintenance to major repairs, our skilled technicians stand ready to offer nothing less than the best in customer and car care. You didn’t settle when you chose your Saturn, so don’t settle when it comes to choosing its care. 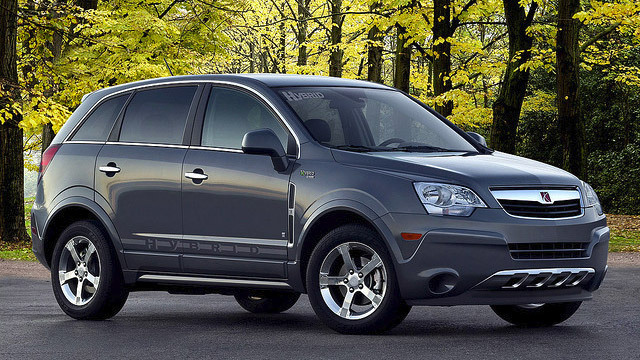 Keep your Saturn in top condition by giving your vehicle the top-quality service it deserves. Call Desi Auto Care today at (856) 474-1213 to speak with our knowledgeable staff or stop in at 307 South White Horse Pike Stratford, NJ, 08084 so that we can schedule an appointment for your next Saturn repair.